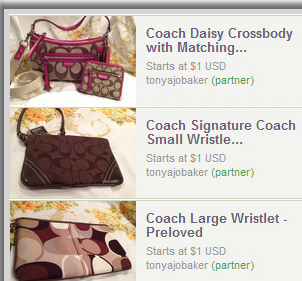 There's a HUGE Coach Sale going on where you too can score a Coach handbag or wristlet for as low as $1. Hurry over HERE and check out the sale. With being frugal, I can honestly say that I have never owned anything Coach. But, you better believe that I am keeping an eye on this Coach Sale.